CW is about your stories – everyday stories that connect and nourish us. 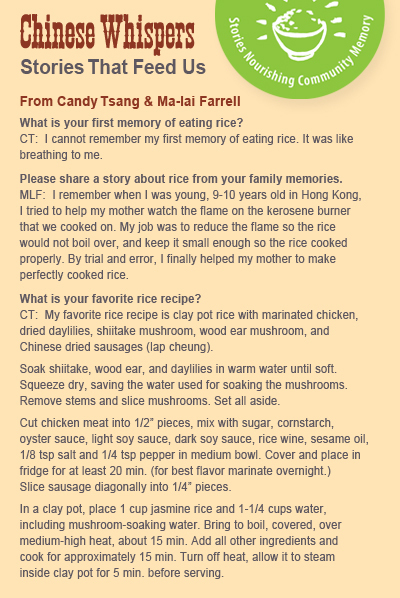 Here, Candy Tsang of San Francisco and Ma-Lai Farrell of Walnut Creek talk about rice and share a favorite rice recipe. Enjoy! 1. How do you cook rice? 2. What is your first memory of eating rice? 3. Share a story about rice from your family memories. 4. Your favorite rice recipe.